The latest addition to the Professional Studio line from AKG is called the K 171 Studio. Designed specifically for monitoring audio sources in noisy environments, these headphones combine the benefits of a closedback design and the comfort of supraaural earphones. The K 171 Studio are light, extremely rugged, and easy-to-use headphones you can wear in many different ways. 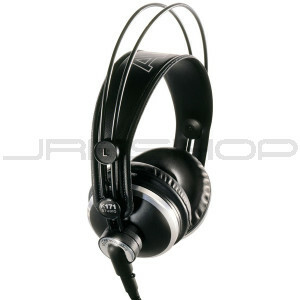 Providing high noise attenuation and a powerful sound, they are as loud and convenient as DJs like them. The K 171 Studio will be a very good choice for DJ and broadcast use as well as any applications where no sound must leak from the headphones (e.g., TV productions).